All the things normally associated with an object are completely changed when that object is found in an unexpected place. 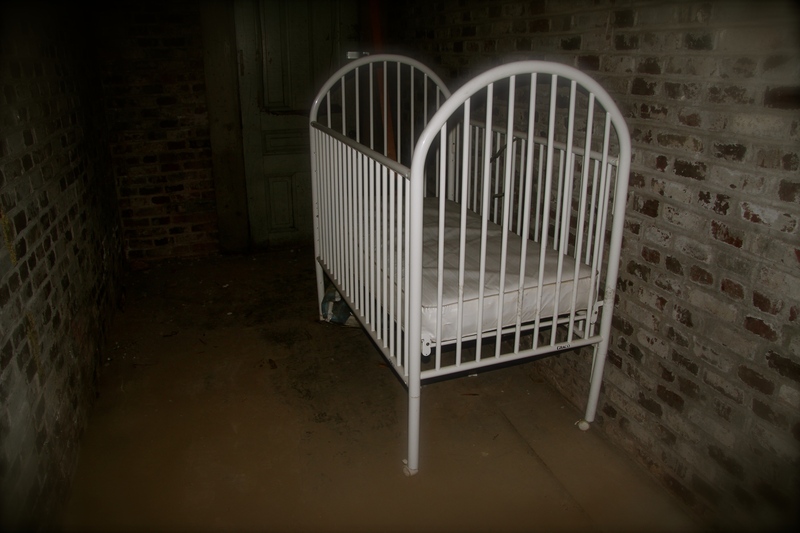 I discovered this crib in the dark recesses of the basement in an old historic building last Sunday. And just like that, an object that I’ve always linked to warm, sleepy babies and lullabies, took a sinister turn. Cue the music…..
Hush little baby, don’t say a word. Mama’s gonna buy you a mockingbird.